Third-ranked women’s basketball used a big first half to down ACC foe Virginia Tech 67-56. Louisville only scored 19 points in the second half, but they built a 23-point lead by halftime. Junior Asia Durr scored 21 points and sophomore Kylee Shook added 11 off the bench. Louisville’s hot shooting started early, leading to a 21-2 lead. Durr added 16 in the first quarter, leading to a 29-9 lead. U of L kept up their defensive pressure in the second quarter, but committed five turnovers. The Hokies used those turnovers to score eight points in the quarter. At the break, Louisville had a comfortable 48-25 lead. U of L owned the paint, out-scoring VT 22-6. Neither team shot the ball well in the third quarter — Louisville 4-for-13, Virginia Tech 5-for-13 — but VT out-scored the Cardinals 14-8. Durr went 1-for-5 in the quarter, but Louisville still held a 56-39 lead. 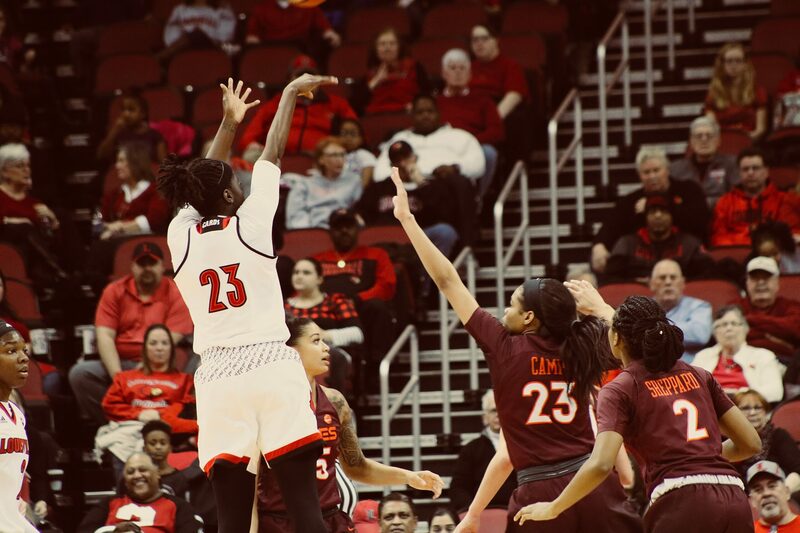 Louisville’s poor shooting continued into the fourth, 5-for-14, and the Hokies went 9-for-11 from the free throw line. VT used the charity stripe the cut the lead to 11, but couldn’t get any closer. Next What happened in sports over winter break?